On Sunday, April 29, the hierarchs, clergy, and faithful of the Russian Church Abroad celebrated the 10th anniversary of the installation of Metropolitan Hilarion of Eastern America & New York as their First Hierarch. While the official celebrations took place in New York City, many could not be in attendance, among these the senior-most cleric of the Church Abroad, Protopresbyter Valery Lukianov. 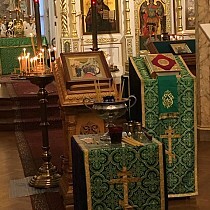 Upon completion of Divine Liturgy in St. Alexander Nevsky Diocesan Cathedral in Howell, NJ, Fr. Valery (the cathedral’s pastor emeritus) spoke the gathered faithful about the life and archpastoral service of the Metropolitan, who since 2014 has also served as rector of the cathedral. A video of Fr. Valery’s remarks in the original Russian is available below. An English translation is available below the video. Today is a special moment, which marks ten years of Metropolitan Hilarion’s primacy over the Church Abroad. We do not bring this up simply because it is proper to do so, but because the Metropolitan is someone that the Lord God has given us in His mercy. Vladyka Hilarion belongs to a set of people with very exceptional gifts: he feels no resentment, makes no demands, and boasts of nothing. His kindness does not allow him to utter an unpleasant word to anyone. There was a large conference in Jordanville, many people came, and there was no room left. We arrived late from New York. I asked Vladyka where I could spend the night, and he replied, "Do not worry; you can stay the night in my cell." We came up to his cell, which had a small cot in it; I spent the night on that cot. Even other bishops did not have that luxury. The next morning, I found out that Vladyka Hilarion had spent the night in the print-shop, on the floor. What a First Hierarch! What a leader! And thus, today, honoring Vladyka Hilarion on the decennial of his primacy, we must all understand the kind of man God has sent us, and rejoice. You know, many of us do not know this: when elections of high-ranking officials take place, there can be infighting, all manner of repugnant political moves made behind the scenes, you have read or heard of this. But when the time came to elect Vladyka Hilarion, there were no opponents! And thus Vladyka became First Hierarch, peacefully. This did not change his character or his attitude even for a moment. He is simple, kind, loving, gentle. So simple is this man, that when he was appointed to New York, a group of babushkas coalesced around him, in need of various things. Vladyka would gather these things together and go through New York City, distributing them to these old women in need. Quietly, calmly, unassumingly. I have had many dozens of official interactions with Vladyka. I do not remember a single time when he would argue with me, but would calmly counsel the best course of action. And so, with my whole heart, like many of you, I respect and love our First Hierarch. 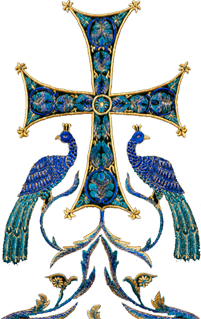 Today, all of the archpastors and guests are coming together [in Synod]; they will greet him, offer eloquent words, but the wisest one of them would say, "Brothers and sisters, we have achieved much in our lives, strove for much; sometimes we succeeded easily, other times with difficulty. But Vladyka Hilarion, out of all of us, has a marvelous quality: he is simple, he is capable of being a simple person." This we treasure, as we recall his life today. He has done so much good: quietly, unassumingly, beautifully, silently, kindheartedly, that we will never forget his. May the Lord God grant him strength and health to continue to labor as long as possible in the Lord’s Vineyard. May we, Orthodox people, look at such leaders, and try at least to some extent to copy their lives. And only then we will we obtain true simplicity, without which we cannot live.